Just like us dogs get enjoyment from food. However just like us they vary in the speed in which they eat. Most of the time the speed that they finish their food is not an issue but could they be getting a greater benefit from mealtimes if they slow down? You may be wondering why bother? Your dog eats, their appetite is good and you never hear any complaints. Here are three good reasons why it’s a good idea to change their eating habits. Most domestic dogs have little to do each day. The daily walk and meal times are usually the highlights of their day. 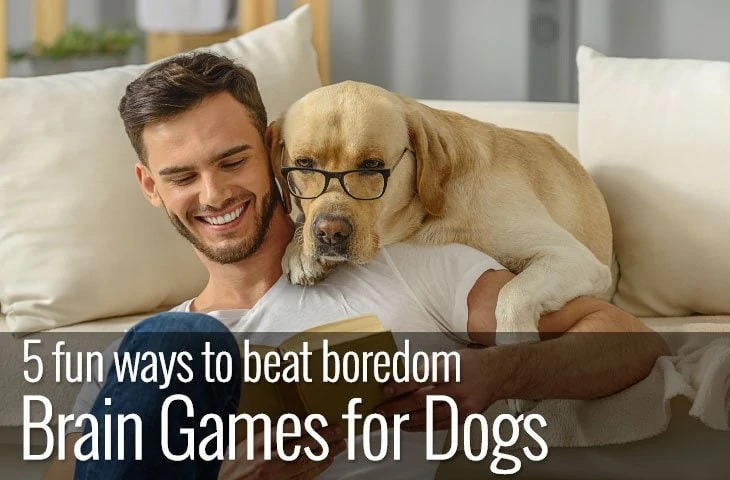 Although most of us recognise the benefit that our dogs get from daily exercise, few of us really appreciate the pleasure or mental stimulation that food can provide. Giving your dog their food in a bowl not only reduces the amount of time they take to eat it but it also ignores the mental workout it can provide too. Providing your dog with a chance to actively think about their meal and extend the time it takes for them to enjoy it will benefit both your dog’s mind and body. Dog obesity is on the rise, in fact it’s the most common health issue in our dogs. You may wonder what that has to do with eating fast but it really does matter. Slower eaters (both human and canine) experience more satiety when they eat. 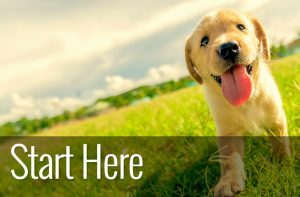 This means that your dog is less likely to beg if they feel full, keeping you from succumbing to those big puppy dog eyes and over feeding. Not only are you extending the pleasure they get from their food by using a slow feed dog bowl, but you are also ensuring a healthy eating habit and managing their weight. The proper name for Bloat is Gastric Dilitation-Volvulus (GDV) but if it’s OK with you, I’ll stick to calling it bloat! Our dogs’ stomachs are very similar to our own as they look a little like a balloon. If we eat too quickly we can suffer from bloating and gas. It’s quite common for this bloating to be accompanied by an uncomfortable feeling in our stomachs. We tend to recover quickly though even after a large meal and often find relief by passing wind. 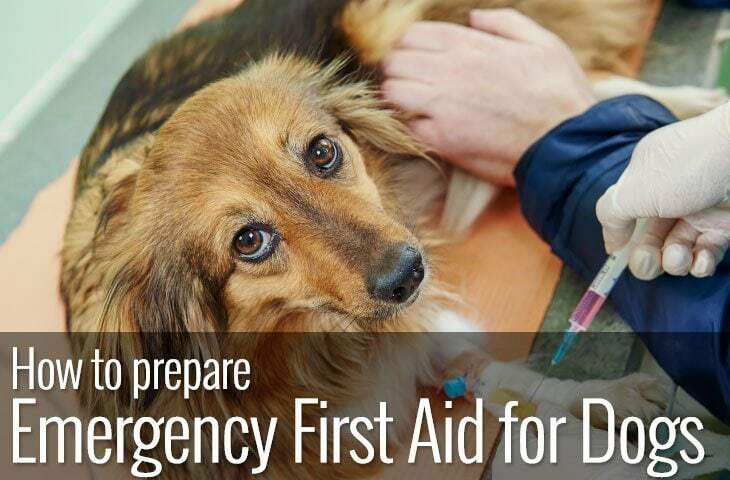 Our dogs, however are not so lucky and what may start out as gas can quickly develop into something much more serious. When a dog eats too quickly or too much, the resulting gas inflates the stomach and stretches it blowing it up like a balloon. As the stomach continues to stretch it blocks the circulation of blood to the heart and the stomach leading to tissue damage. In many cases the stomach also twists at both the top and bottom blocking the stomach from the oesophagus and shutting off the pyloric valve which prevents the gas from escaping the stomach. Bloat can be fatal exceptionally fast so it’s important to recognise the symptoms of bloat and act quickly by taking your dog to a veterinarian. If your dog is a chewer, then they may over interested in the nodules and ridges and chew them. 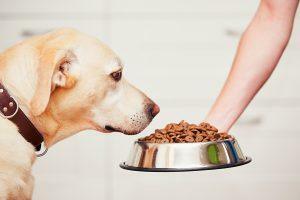 If it’s too difficult for your dog to get to the food, they may get frustrated and give up. Your dog may decide to flip the bowl over if it’s too difficult and the bowls are more difficult to clean. The green slow feeder is designed to mimic grass. Simply scatter wet, dry or Barf (raw) food between the blades and the Green slow feeder will keep your dog mentally stimulated whilst eating, with more time to enjoy the taste of the food. The slow feeder “no gulp” is a more traditional bowl shape and can be used for food or water. 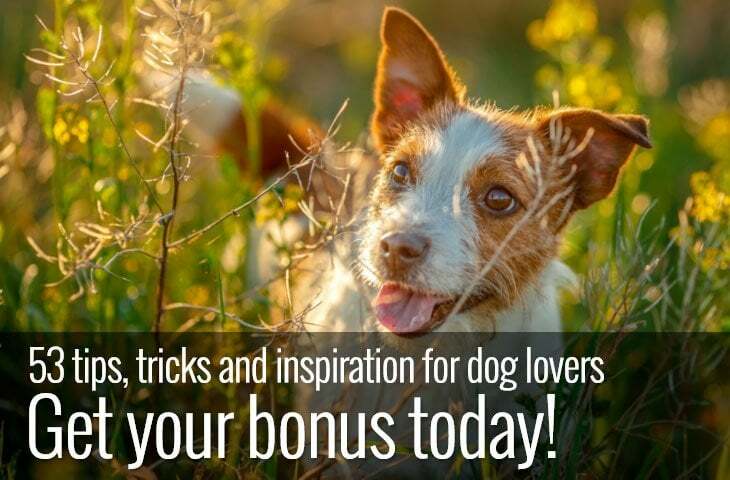 It has 3 raised nodules that are effective in slowing your dog down while eating. Another interesting design featuring meal-lengthening ridges and mazes to keep your dogs interested as they eat. Unique interactive flower design that promotes healthy eating, Can be used for food and water. Made from silicone. We love this tic-tac-toe version of a slow feeder. Simple enough for novice dogs but challenging enough to slow down even the most enthusiastic gulpers. Hump feature to prevent pets from eating too fast. A simple design that’s Easy to clean and dishwasher safe. Perfect if your dog likes to chew as it’s made from durable stainless steel. ENGAGE YOUR DOG'S SENSE OF SMELL - Puts your dog's nose and brain to work by mimicking the hunt for food in nature. SIMPLY CHALLENGING - Encourages natural foraging skills. EASY-TO-FILL FEEDING MAT - Fun-to-use design and durable construction. OK, not strictly a bowl but we had to include it. The Snuffle mat has lots of fleecy folds for food to hide in and for your dog to seek it out.The ruffle snuffle is particularly good for puppies or convalescing dogs as there are no sharp edges. 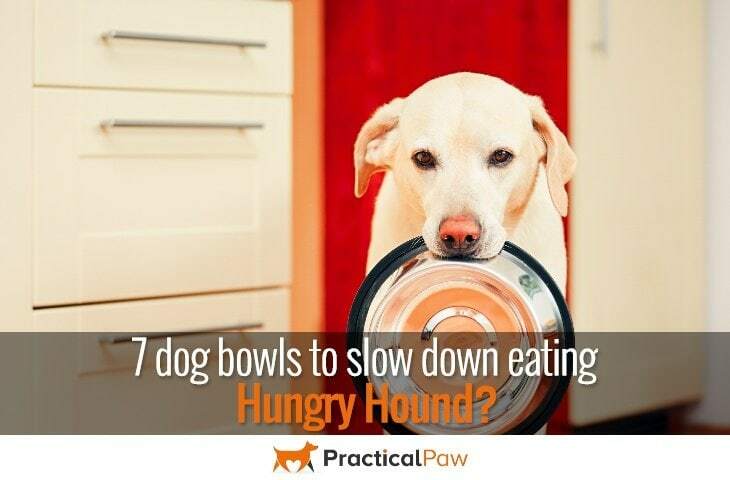 There you have it, 7 of the best Dog bowls to slow down eating. Whichever one you choose, you are sure to be enriching your dog’s day by extending the time and pleasure they get from their food. If your dog is new to interactive feeding, it’s best to start with a simple puzzle and work up to more advanced designs. Dogs enjoy working for food but they don’t enjoy being frustrated. And remember to always keep an eye on your dog just in case the feeder gets mistaken for food or a chew toy!